I just couldn’t wait until tomorrow to post this photo. 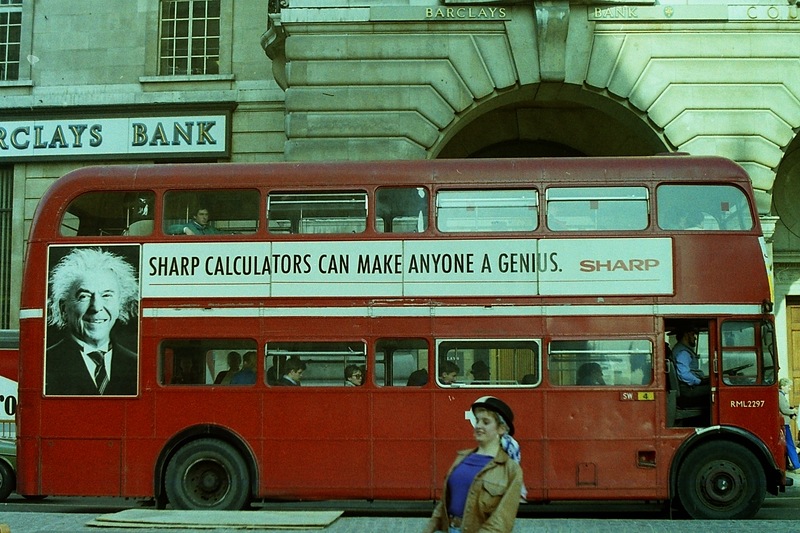 In digitizing my film from the 80s and 90s, I came across this photo I took when I went to London in 1988. It speaks for itself. This entry was posted in Personal Stories and tagged advertisement, art, bus, creativity, double decker bus, English humor, face recognition, humor, London, photograph, visual arts. Bookmark the permalink.